The door closer is an integral part of any commercial door hardware system. The primary role of the door closer is to shut the door once opened, but it also serves to keep the door shut in case of a fire and to keep the weather outside whether it’s the wind, rain or heat. In instances where there is access control required it pulls the door to lock every single time to prevent unauthorized access to the facility. 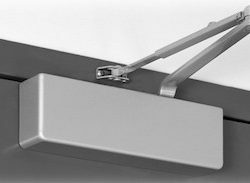 Furthermore, it’s essential to keep door-closers tuned adequately because, if the door closer is too weak or slow, it will result in the door not being pulled all the way back to the latching point, which poses a security risk. If it’s too fast or the oil has leaked out of it, this will result in the door slamming and potentially breaking the glass or damaging other hardware on the door or frame. 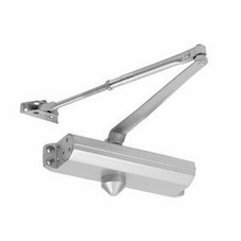 Choosing the right size of door closer is also essential; often we come across door closers that are not the right fit for the door they are on. There are a few factors to consider when installing a door closer. Primary among these is the building code. Also, commercial and residential buildings and facilities require appropriate hardware, taking into account the size and weight of the door and the volume of traffic. Installing the wrong door closer will result in the closer overworking and essentially breaking down much faster than usual. In most commercial establishments, it’s required by law to have door closers installed, and in most cases today, it’s also required to have automatic handicap accessible door openers. You can rest assured that our commercial locksmith team is familiar with building codes and requirements across Toronto, and use the best brands on the market such as LCN, Dorma, LSDA, STANLEY, to provide you reliable and durable hardware, as we believe in doing it right the first time. 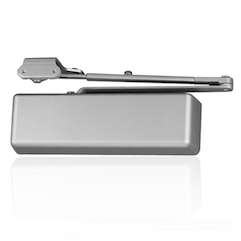 If you need door closers installed or serviced, contact A to Z Locksmith today to schedule!